Every fall semester, I teach a course entitled “Race and Ethnic Relations.” A major component of the course is studying the history of racism and ethnic discrimination beginning in medieval Europe to the present day, and examining how that history can both help us understand the current status of race and ethnic relations in North America, and then guide us in our exploration of the way forward toward a multi-cultural society where all racial/ethnic groups have an equally accepted and authentic voices. As the history of racism is reviewed, most white students and some students of color are not only shocked by the intentional oppression of African, Native Americans, Hispanics, Asians and other peoples of color, but also deeply distressed by the active complicity of Christian leaders in that oppression. Usually my white students are left with overwhelming feelings of guilt, despair and powerlessness in the face of the horrific historical facts. A few weeks ago the class, which is primarily comprised of white and African-American students, came to that point of despair. The African American students have many heroes and heroines of the Civil Rights Movement after whom they can model their activism; figures such as Martin Luther King, Malcolm X, Frederick Douglass, Sojourner Truth, Septima Clark, Bernice Robinson, Rosa Parks and many more come to mind. However, the white students feel like they have no such models in their attempts to develop an anti-racist lifestyle. At that point I exhorted them to find white anti-racist heroes after whom they can model their lives. While the sacrifices of white anti-racists are great, they in no way approach the sacrifice of those people of color who challenged the white establishment. Even so white anti-racists models from the past can point the way forward whites who want to work alongside their counterparts in building a society free of racism. What follows is my brief list of the anti-racist heroes who have served as an inspiration and guide for me as I work to contribute to the building of the Beloved (multiracial ) Community that Martin Luther King spoke about 50 years ago. May the examples of these folks serve to inform all whites that they too have anti-racist ancestry upon which they can draw. William Wilberforce – Member of British parliament whose tireless efforts eventually led to the abolition of the slave trade in England. 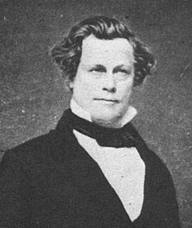 Elijah Lovejoy – abolitionist journalist killed in Alton, IL for his anti-slavery views. 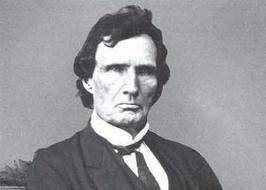 Thaddeus Stevens –Congressman from Pennsylvania during the pre-Civil War era who argued tirelessly for the abolition of slavery. John Woolman – Quaker farmer who in the 1700’s personally convinced 100’s of Quaker slave-owners to renounce slavery and set their slaves free. By 1787 when the United States became a nation, hardly any Quakers owned slaves thanks to John Woolman. Levi Coffman – Quaker abolitionist in Ohio who supported the Underground Railroad. John Rankin – Presbyterian minister in Ripley, Ohio who safely ushered hundreds of runaway slaves to freedom. John Brown – avid abolitionist who sought to ignite a slave rebellion thru his raid on the US Arsenal at Harper’s Ferry. AJ Muste, – labor organizer who was also active in the U.S. Civil Rights movement. 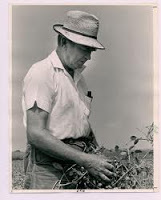 Myles Horton – founder of Highlander Research and Education Center in Tennessee, which was a meeting place for black and white civil rights workers in the 1950’s and 1960’s. Clarence Jordan- founder of Koinonia, an intentional multi-racial community established in the 1940’s in South Georgia. 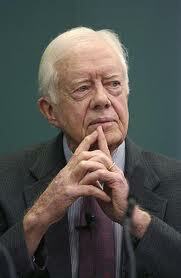 Jimmy Carter –former US President and tireless Civil Rights advocate. Will Campbell – Southern writer, minister and activist who actively sought to befriend members of the KKK to change their minds and attitudes. Alice and Sarah Grimke – early suffragettes and abolitionists in the pre and post Civil War era. 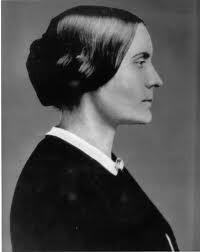 Susan B. Anthony – early advocate for both women’s and African-American rights. Charles Finney – Baptist evangelist in the 1800’s whose evangelistic message always included a call to fight slavery; the founder of Oberlin College. Dorothy Day – Co-founder of the Catholic Worker and advocate for the poor and oppressed. Curtiss DeYoung – evangelical pastor/writer who has tirelessly advocated for racial reconciliation. Chris Rice – long time member of Voice of Calvary (now at Duke University) who along with Spencer Perkins (until his death) lived in intentional inter-racial community and writes extensively on racial reconciliation. May this list guide and inspire other white anti-racist to actively live into the hope and promise of a society where racism is not tolerated and diversity of all kinds is embraced. Perhaps you who read my “hall of heroes” can add to the list. ULTRAS – a way of life ! I love drickboyd.blogspot.com! Here I always find a lot of helpful information for myself. Thanks you for your work.